This Halloween season, venture aboard the legendary Queen Mary for the ultimate haunting experience where the spirits aboard set sail all year long with unique tours, nightly shows, delectable dining and hotel packages. Check in to stateroom B340 to spend the night in the axiom of all alleged paranormal activity at the Queen Mary, or dive deep into the spirits of past and present with a series of tours and attractions that explore the haunted past and paranormal activity aboard the legendary vessel. 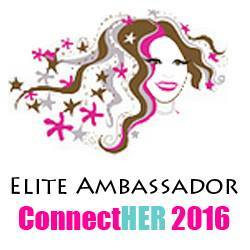 To purchase tickets or book your room today visit queenmary.com. State room B340: The Queen Mary welcomes haunt lovers and paranormal seekers to the notoriously haunted Stateroom B340 for an unforgettable ghostly overnight experience. Complete with a Ouija board, tarot cards, crystal ball, and ghost hunting equipment, B340 offers hotel guests a unique opportunity to immerse in the secrets and legends of the past. B340 reservations start at $499 per night, visit Queenmary.com to book your reservation and for more information. Illusions of the Passed: Legends of the Queen Mary, A Theatrical Séance: Guests are invited to travel back in time and meet the ghosts and legends of the ship during a 90-minute full-evening presentation of Paranormal Illusions. Master Magician and Apparitionist, Aiden Sinclair creates a one-of-a-kind encounter with the spirits of the past in a brand new, intimate theater aboard the historic Queen Mary. Illusions of the Passed is offered on select nights, Thursday through Sunday. General admission starts at $40 and VIP tickets are $55, visit queenmary.com for more information. Dining with Spirits: Enjoy a first-class group dining experience with the award-winning Sir Winston’s Restaurant and Lounge menu before rolling up your sleeves and embarking on spooky haunted history tour like no other. Guests are guided by a trained paranormal guide to explore the Queen Mary’s most notorious paranormal hotspots and learning the harrowing tales of the ship’s haunted past. Dining with Spirits is offered on Friday and Saturday nights. Reservations start at $134 per person with a three-course meal included, visit Queenmary.com for more information. 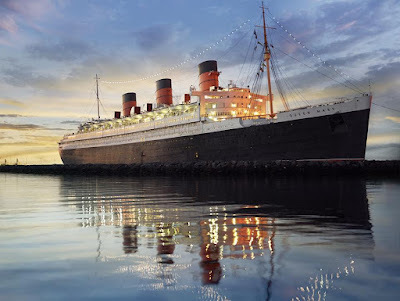 Paranormal Investigations: Dive into the eerie depths of the Queen Mary and join a resident ship paranormal investigator in a lead investigation of the most active and remote locations aboard to connect with the legendary spirits. Brave the depths of the Engine Room, Boiler Room System, Isolation Ward, Captain’s Quarters, and more for a hands on paranormal investigation to uncover what spirits go bump in the night. Paranormal investigations are offered on Friday’s and Saturday’s starting at 11pm and Sunday’s starting at 10pm. Tickets start at $79 per person, visit Queenmary.com for more information. Paranormal Ship Walk: Experience a more haunting side of the Queen Mary after hours to explore various rooms or compartments seldom seen by the general public while famous stories and legends are shared about some of the past passengers aboard the legendary ocean liner. The Paranormal Ship Walk is offered daily from 8-10 pm and 9:30 - 11:30 pm. Tickets start at $44, visit Queenmary.com for more information. Climb aboard the legendary Queen Mary to explore the historic vessel from bow to stern! Stroll through the Promenade deck to uncover rich Art Deco, delight in the Shipyard Model Gallery, indulge in delectable bites at Chelsea’s Chowder House or the Promenade Cafe and walk the historic halls of the Queen Mary hotel. Embark on the ultimate adventure and stay aboard the Queen Mary, hotel reservations and packages start at $99 per night. For more information and to book your stay today, visit queenmary.com .